In this paper, we present a new model called two-dimensional locality preserving indexing (2D-LPI) for image recognition. The proposed model gives a new dimension to the conventional locality preserving indexing (LPI). Unlike the conventional method the proposed method can be applied directly on images in 2D plane. In order to corroborate the efficacy of the proposed method extensive experimentation has been carried out on various domains such as video summarization, face recognition and fingerspelling recognition. In video summarization we comapre the proposed method only with 2D-LPP which was recently used for video summarization. 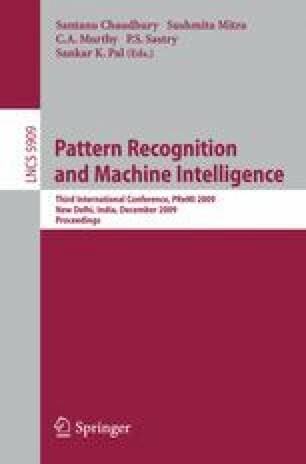 In face recognition and fingerspelling recognition we compare the proposed method with the conventional LPI and also with the existing two-dimensional subspace methods viz., 2D-PCA, 2D-FLD and 2D-LPP.